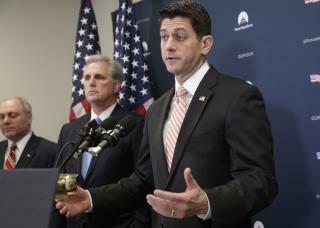 (Newser) – Paul Ryan appears to be playing nice with President Trump, at least when it comes to an executive order barring travelers from seven Muslim-majority countries. In comments Tuesday, Ryan said it was "regrettable that there was some confusion on the rollout," noting "no one wanted to see people with green cards or special immigrant visas, like translators, get caught up in all of this." But he also expressed support for the policy for security reasons and said he'd had a "very good conversation" with Homeland Security Secretary John Kelly, whom he is "confident" will "correctly" implement it, report Reuters and the New York Times. The experiment has already evolved.